Home / Interviews / Who Needs “Fixing”? Several years ago, I wrote an article for Today’s Horse Trader entitled, “How To Fix Your Horse in Five Days.” I had just spent five days at the Armstrong Equine Center near Las Cruces, New Mexico working with Josh Armstrong, one of the best horse trainers I’ve had the pleasure of knowing. 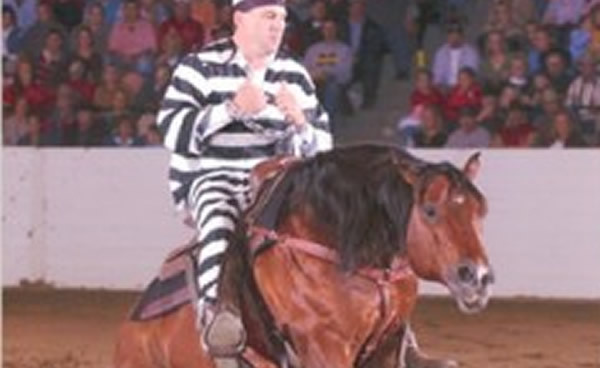 Josh is well known in reining circles with many wins under his belt, including the NRHA and Congress futurities. He is also a European National Champion Reiner. 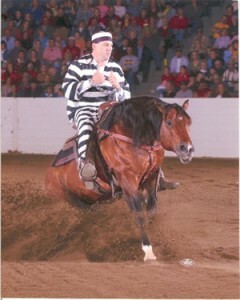 Here’s Josh winning Freestyle Reining at the Congress several years ago. Josh and his assistants rode Doc about an hour each day and so did I. The rest of the day, I helped ride other horses at the facility. Josh works from 7:00 am to 5:00 pm, so it made for some long, hot days. He would give me a horse to ride and instructions about what the horse needed. It was the greatest lesson about how each horse is unique and how you have to adjust your techniques to help that horse. I remember one big Paint who thought he should always be in a hurry. “Trot that horse in a circle until he decides to walk,” Josh instructed. Quite willing to trot, off the horse went, with me posting away. “No,” Josh shouted. “Sit down. Encourage him to slow down and walk.” I tried everything I knew from acting like a sack of potatoes to going with him. It seemed like it took half the day, but that horse finally walked. But how do you learn to adapt? How do you change what you’re doing? 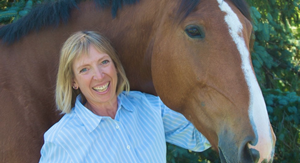 Wendy Murdoch has just written a new book, “5-Minute Fixes to Improve Your Riding.” She describes it as, “Simple Solutions for Better Position and Performance in No Time.” Wendy has been an author, instructor and clinician for over 23 years. She teaches her students how to do what great riders do naturally. Wendy has worked with the best – Sally Swift, Linda Tellington-Jones, Jon Zahourek and Hilary Clayton to name a few. A Feldenkrais Practitionerâ, she continues to study with Dr. Feldenkrais’ first assistant, Mia Segal. Wendy’s new book approaches learning from some new aspects, telling us we can do less and give ourselves a break. She recommends to listen to yourself, go slowly and stop when it hurts. 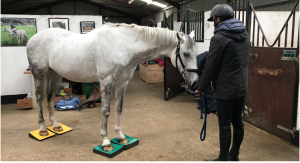 Starting with the head and neck, Wendy travels down the body in exercises you can easily do on or off the horse to improve both your alignment and body position. The great thing is – these work in your daily life to improve aches, pains and tension throughout your body. The exercises, or “fixes” as Wendy calls them, are well explained, illustrated and easy to do. She also gives you some clues about the difficulties you may have as a result of previous poor body position. For instance, in balancing your head, do you 1) have trouble looking where you are going; 2) find your neck is tense when you ride, or stiff afterward; or 3) have difficulty sitting the trot? The “fix” is good head position, balanced over the spine. 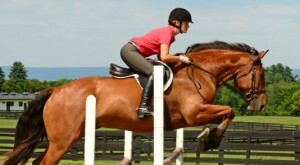 The neck is relaxed and the rider can lengthen upward through the spine. These exercises are applicable for any discipline of riding and will help both you and your horse feel better about what you’re doing. Pat Van Buskirk is an avid horse enthusiast and has been writing for various horse and auto magazines since 1994. She is an Associate Broker at Coldwell Banker Residential in Parker and may be reached at pat@patvanbuskirk.com.